Euan Mullock in Editor's Picks World Affairs on 9 December, 2016. There once was a time in Middle Eastern politics when Arab relations with Jerusalem revolved around the ‘three no’s’ – no peace with Israel, no recognition of Israel and no negotiation with Israel. Forged in the aftermath of Israel’s crushing defeat of its neighbours in the 1967 Arab-Israeli War, the Khartoum Declaration has become the pillar of Israel-orientated policy for capitals stretching from Tehran to Tunis. Adhered to by almost all countries in the region, the first domino to fall was Egypt, who signed a peace treaty with the Jewish state in 1979. Then came Jordan’s – the country with which Israel shares its longest border – accord in 1999. The ‘three no’s’ policy is gradually fading, especially where it has been professed strongest – the Gulf states – as Arab leaders open up channels of communication with Jerusalem for the first time in a generation. But why the sudden change? Reports that there is low-level secret contact between Riyadh, the Saudi Arabian capital, and Jerusalem has raised eyebrows across the region. Long the hotbed of anti-Zionism – and sometimes verging on anti-Semitism – in the region, Israelis are banned in the Kingdom, just as they are in over a dozen countries, from even setting foot in the country. Yet Saudi authorities there have recently started to quietly engage in a campaign to rid the media of glaring anti-Semitism that has long been rampant among the populace and authorities. Nowadays both Israel and the Gulf states realize that for the first time they have more in common with what unites them than divides them. Both groups fear Iranian hegemony over the region, Israel because Iranian Presidents have threatened to “wipe Israel off the map”, and the Gulf States because Iran threatens the long-established Sunni hegemony of the region, which started with Egypt and currently lies with the custodians of Islam’s two most important mosques, Saudi Arabia. Both Saudi Arabia and Iran have for years been engaged in a Sunni-Shia proxy conflict that has led to disastrous results across the region, most notably in Yemen and Syria, but also in Israel’s neighbour Lebanon, where Tehran funds Hezbollah, sanctioned as a terrorist organization by Jerusalem and many Western capitals. Both Saudi Arabia, many of its Gulf allies and Israel are also opposed to the Muslim Brotherhood, whose offshoot Hamas is current ruling in the Palestinian territory of Gaza. Both countries are U.S. allies, orient to the West over Moscow and Beijing and have felt increasingly abandoned by an Obama administration that has allowed Iran to keep a nuclear programme and become free of western sanctions for the first time in years. Rumours are circling that the seriousness of the threat is so grave for Saudi Arabia that it is even interested in purchasing Israeli military hardware, long renowned as some of the best in the world – unthinkable even just a year ago. The slight thawing of relations is not just confined to combatting shared threats. Last year Israel opened its first “trade office” in the Gulf since several were shut following the 2000 Intifada. The office, in the Emirati city of Abu Dhabi that was opened quietly by the Israeli Energy Minister, is a sign of growing acceptance of the Jewish state in Gulf circles, as unofficial ties are also thought to be back on the table with Qatar and Bahrain. Israeli exports to its Gulf neighbours – although minimal – are showing signs of growing. Israelis, long among the world’s most frequent travellers, find themselves welcomed in a growing number of Arab countries, including Morocco, Tunisia and Bahrain. They are visiting there in larger numbers than ever, just as Arab and North African travellers are frequenting Israel in record numbers themselves. In the north of the region, Turkey, the first Muslim-majority nation to recognize the Jewish state soon after its declaration of independence, was long Israel’s closest Middle Eastern ally. However, due to the election of ardent-Islamist Recep Tayyip Erdogan in 2003, relations soon turned frosty and were cut completely after Israel’s targeting of a Gaza flotilla that set sail from Turkey in 2010. Erdogan famously walked out at a Davos summit while his Israeli counterpart was speaking, and has constantly backed the Palestinian cause on the international scene. However, recent souring of relations with Russia, Egypt and even the EU and the United Sates, has forced Ankara to re-orientate itself back to Jerusalem as it seeks allies closer to home. Ambassadors were exchanged last month for the first time since the flotilla crisis over six years ago, a further sign of Israel’s growing acceptance in the region as a whole. Although Riyadh and Jerusalem seem to be adopting the “an enemy of my enemy is a friend” approach to bilateral relations as of late, make no mistake – Israel’s treatment of the Palestinians will always receive more scrutiny from its Arab neighbours than elsewhere. 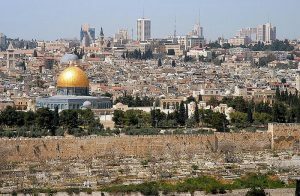 A just and peaceful settlement between the Israelis and Palestinians will have to be agreed upon before any further and public rapprochement with Jerusalem from the Arab capitals. 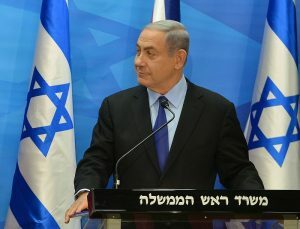 Even on an international level, it’s unlikely that the Arab League will give up voting against Israel at international bodies including UNESCO, which recently ruled against Jewish ties to Jerusalem and received support from many Arab countries, including Jordan, custodian of many Muslim sites in the city and officially at peace with Israel. The Jewish state itself is still recognized officially by a mere three out of 21 Arab League nations, the rest refuse to condone its existence. Many of these, including Lebanon, Syria, Iraq, Algeria and Sudan look likely to refuse to entertain any possibility of a shift in Arab-Israeli policies for much time yet. Yet just the very fact that the ‘three no’s’ policy, coined fifty years ago and since sacrosanct to Arab-Israeli relations, is fading into the history books in some of the countries who helped define and shape it is a cause for celebration in itself.